Apple has always excelled at fit and finish. At doing things with style. And that's the iPhone X in a nutshell. Who cares if Face ID isn't a new idea if it's done so much better here? Will people be bothered if there's another phone with a near-edge-to-edge display when Apple's design pushes it even further? It's certainly true that the 'all display' front looks absolutely tremendous and it will be an incredible display to use day-to-day with 448 pixels per inch and 2,436 x 1,125 resolution. (We have seen some stats that peak brightness is lower than Samsung's Super AMOLED displays though, so that will be one to check out). HDR and Dolby Vision support are very welcome, but we've seen this before on other handsets, of course, and the screen features Apple's True Tone tech that we've previously seen on the iPad Pro series. Again, though, it's great these features are coming to the iPhone. 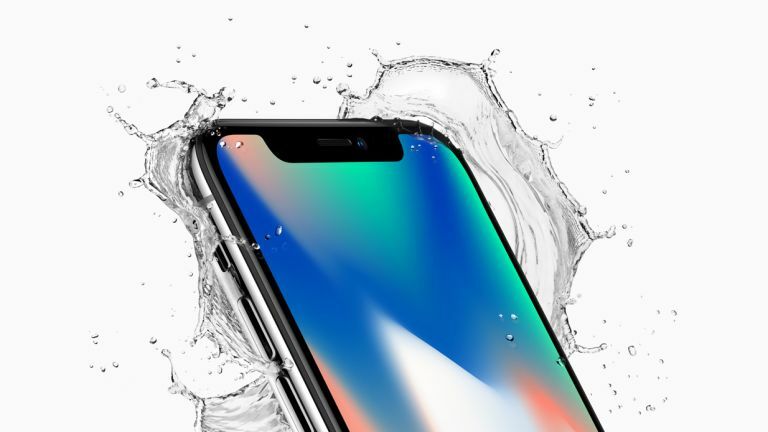 Performance is also an area where the iPhone X will excel thanks to Apple's new A11 'Bionic' processor if the benchmarks we've seen online are anything to go by. Incredibly, despite the new display and processor, Apple reckons there are two more hours of battery life versus iPhone 7. We'll look forward to testing performance out in the real world. An interesting footnote is that this lineup of iPhones is the first time that Apple has designed its own mobile graphics processor, which Apple says gives a 3x uplift in performance. Previously it licensed Imagination Technologies' PowerVR GPU technology, an arrangement which has ended in a battle of words. One of the key drawbacks with iPhone 10 (as its pronounced) is the price. A £999/$999 price point for the 32GB model doesn't bode well for our pocket money. And that's before we get to the 256GB version which, well will be - well, we dread to think (we don't know yet). If there is a controversy here, it's the dumping of the home button and, with it, Touch ID, a tech that people are still getting used to and that works really well with Apple Pay. We can only surmise that adoption hasn't been stellar, so perhaps Apple is just trying something new. What will Face ID be like? Face ID has been introduced, so you can now use it instead of Touch ID. It's a two camera system and you can use it for Apple Pay as well as unlocking your phone. But will it work in practice? You're going to look rather silly if you look at your phone to pay with it and then it doesn't quite work. Our experience with other phones using this isn't great (actually TERRIBLE). Apple says it's been specifically designed so you can't erroneously unlock - you have to be actively looking at the phone. With the home button gone, you can now swipe up from the bottom to multi-task or activate Siri vocally or via a 'larger side button' - we wonder how that will work, as well. Apple has the power to make technologies mainstream because of its ability to convince partners that 'now is the time' to adopt. Integrating the Qi wireless standard at this stage is a phenomenal boost to wireless charging, even if others have been doing it for ages. That's what Apple is so good at - taking something that others have tried and making it mainstream. Can it do the same with facial recognition?